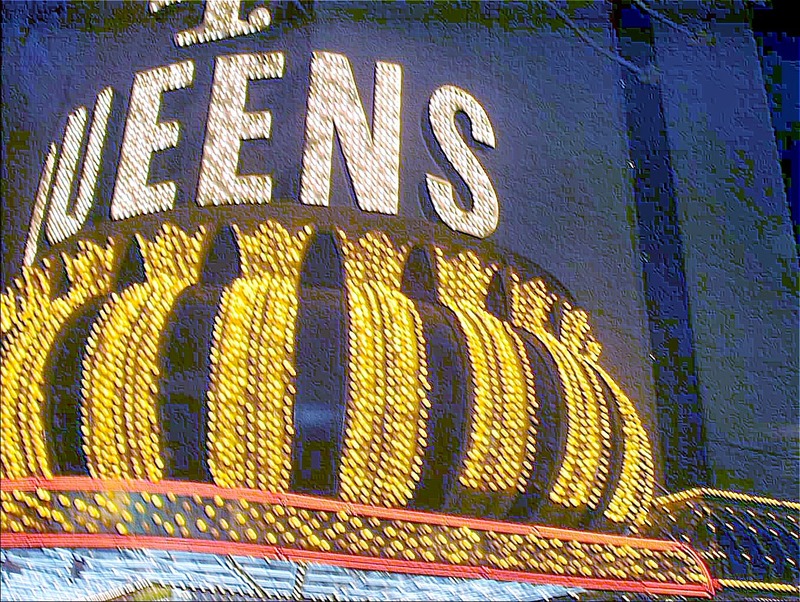 My husband and I have been to Las Vegas many times, to include our honeymoon. We plan on going again in Dec 2015. We wanted to see how Vegas decorates for Christmas. 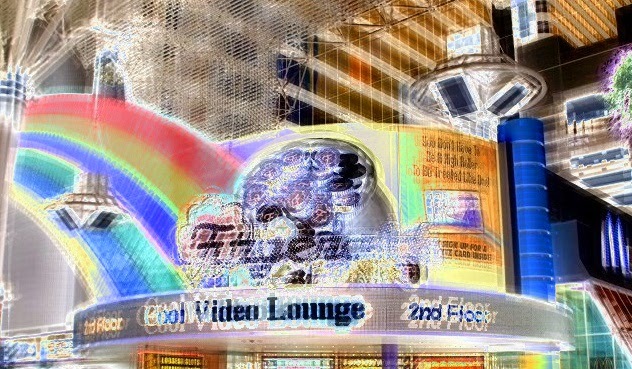 Here is some photo art I created with some past Vegas Vacation Photos. Ah yes, Vegas and lights ... an artistic marriage. I love your version of them. 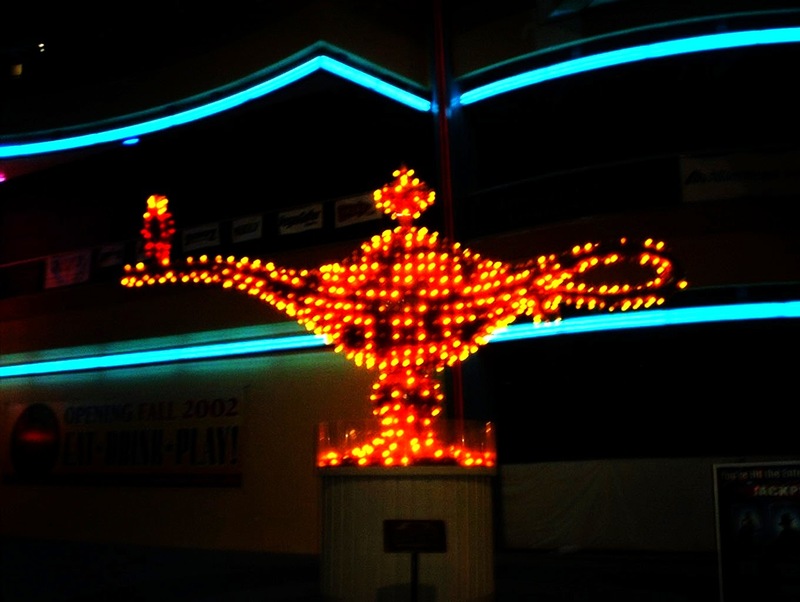 Like the Lamp of Alladin moste. Vegas has lots of pretty blues. Thanks for playing today. Wow, I've never seen Santa on a magic lamp. I've never been to Vegas either. Thank you so much for sharing. Vegas is certainly colourful at night. 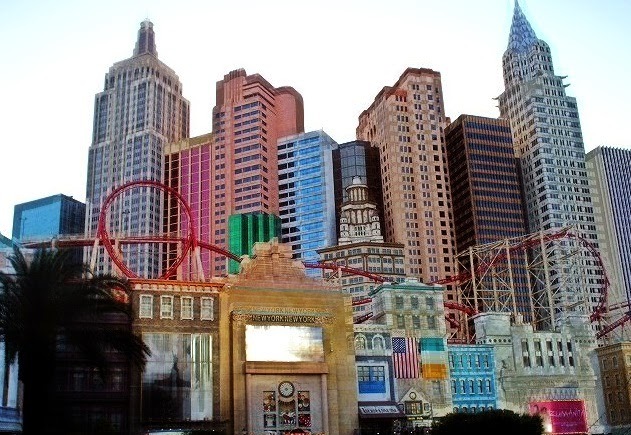 Nice photos ..
Wow, wonderfull,i have love las vegas night during my travel there a fex years ago. Interesting set of pics -- I like the bottom one best. It looks sort of HDR, but then again not... almost abstract. Nicely done. FUN! The second photo looks like it can be a city of buildings made from legos. Glittery, brilliant, flashy - wow!